Date Schedule of 5th International Theatre Festival Kolkata 2016, Opening & Closing last date of 5th International Theatre Festival, Kolkata 2016, Entry timings of 5th International Theatre Festival Kolkata 2016, opening & closing time schedule of 5th International Theatre Festival Kolkata, location of 2016 5th International Theatre Festival, address of 5th International Theatre Festival Kolkata how to go, Ticket price of 5th International Theatre Festival, 2016 ticket booking process online of 5th International Theatre Festival Kolkata. Like previous years, Bratyajon has organized International Theatre Festival in Kolkata as well. 6-days long 5th International Theatre Festival 2016 in Kolkata will begin on & from 31st May 2016 at Academy of Fine Arts, Kolkata. World famous directors of various countries are participating in Kolkata International Theatre Festival 2016 with their plays. Eminent directors from Russian, England, France Missore and off course Indian directors are going to show their ‘plays’ (Natok) during 5th International Theatre Festival 2016 in Academy of Fine Arts, Kolkata. • 2016 5th International Theatre Festival, Kolkata Date Schedule: - Let’s check out the starting date & closings (last) date of 5th International Theatre Festival, Kolkata now. 31st May 2016 (Tuesday) starts 5th International Theatre Festival and this event will end on 5th June 2016. • Entry Ticket Price of 5th International Theatre Festival, Kolkata 2016: - Tickets will be available at the Ticket Counter from 1pm to 7pm daily. You may book your tickets online through www.explara.com. For further details please call 9830083839 / 9836666692 number. • 2016 5th International Theatre Festival Location / Address: - Pre-opening event at Oxford Book Store and all other programs including Theatres (Natok) will be performed at Academy of Fine Arts, Kolkata. • Phone Contact number of 5th International Theatre Festival, Kolkata: - 9836666692 / 9830083839. • 2016 5th International Theatre Festival, Kolkata Organizer details: - Famous Theatre Academy ‘Bratyajon’ is organizing this grand event. 4pm - Pre-opening ceremony has been organized at Oxford Book Store, where eminent personalities like Eosif Rakhelgaj (Russia), Habib Mohammad (Mishor), Verity Danbold (England), Erina Baskirova (Russia), Damien Saed (France) and others will be present along with Sri Bratya Basu. 5pm - After the pre-opening ceremony event at Oxford Book Store, the inauguration program will begin at Academy of Fine Arts, Kolkata in the presence of Sri Sugata Basu, Sri Suman Mukhopadhyay, Sri Gautam Dey and others. 6:30pm – Habib Mohammad directed produced ‘Lahja’ by Elhnaj (inspired by August Strindberg) play will be performed at Academy of Fine Arts, Kolkata in 5th International Theatre Festival 2016. 1st June 2016 – 6:30pm - Sanjay Upadhyay directed ‘Bidesiya’ by Nirman Kala Mancha (Patna). 2nd June 2016 – 7pm – Verity Danbold directed ‘Speak Leda & Wonderland’, Little Wild Bird (England). 3rd June 2016 – 6:30pm – Eosif Rakhelgaj directed ‘To Save Kyamarankar Pushkin’ by Moscow Dramatic Theatre (Russia). 10:30am – Sri Gautam Mukhopadhya will present his thoughts on the topic ‘Relationship between Actors & Directors’. 3pm – Debasish directed ‘Ila Guraisa’ by Theatre Platform. 6:30pm – Bratya Basu directed ‘Meghe Dhaka Tara’ by Naihari Bratyajon. 10am – Mad Ayandru directed ‘Dura Rejistante’ by Company Du Barrage (France). 2:30pm – Bratya Basu directed ‘Adya Sesh Rajani’ by Paikpara Indraranga. 6pm – Closing ceremony on 5th International Theatre Festival 2016 in the presence of Sri Debasish Majumdar and others. 7pm – Bratya Basu directed ‘Mumbai Nights’ by Minerva Repertory Theatre. Please be a part of 5th International Theatre Festival 2016 in Kolkata, book your tickets as soon as possible. Tollywood Bengali film Muktodhara movie story review castings director producer actors actresses Muktadhara release dates book buy tickets online Bengali Muktodhara Rituparna, Nigel Akkara, Bratya Basu. Photos pictures wallpapers download mp3 songs Muktodhara Rituparna, Nigel Akkara, Bratya Basu. New Bengali movie review plot shooting location cinema halls showing Muktodhara kolkata Bengal show timings upcoming hit Bengali cinema Muktadhara watch online details information. Filmmaker Shibaprasad Mukhopadhyay & Nandita Roy is coming up with Bengali Film Muktadhara (Muktodhara) in which we will see the 'duo' Bratya Basu & Rituparna Sengupta acting together after the grand success of Ichhe Bengali Movie of Shibaprasad Mukhopadhyay & Nandita Roy. But, the Muktadhara Bengali Film slightly different from the previous film Ichhe. In the film Muktadhara Nigel Akkara, an ex-convicts who spent nine years in Presidency Jail, has done the Lead Role. Tollywood movie Muktadhara has a very strong story that shows how victims can return to the normal life in our society. • Muktodhara Bengali movie Director Name: - Shibaprasad Mukhopadhyay & Nandita Roy. • Muktodhara Bengali movie Producer name: - Bachchu Biswas & Atanu Roychowdhury (Progressive Films). • Muktodhara Bengali movie Story Writer name: - Nandita Roy. • Muktodhara Bengali movie Music Director Name: - Surajit Chatterjee [Member of Bengali Band Bhoomi] & Joy Sarkar. The songs of Muktodhara Bengali film were sung by eminent singers like Lopamudra Mitra, Rupam Islam, Shilajit Majumdar, Raghab, Mir, Surajit Chatterjee. Mir-Raghab-Shilajit sang the song ‘Gunti’ and Lopamudra’s Rabindra Sangeet has been well appreciated by the audience. Inmates of Dumdum Jail [correctional home] have sung the National Anthem in the Bengali movie Muktodhara. • Muktodhara Bengali film Casts Actors Actresses: - Rituparna Sengupta, Bratya Basu, Nigel Akkara, Debshankar Haldar, Kharaj Mukherjee, Suchitra Chakraborty & many others. 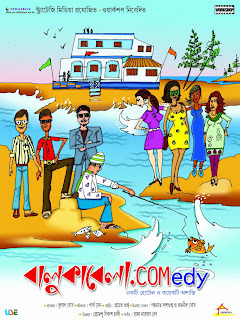 • Muktodhara Bengali movie Release Date: - 3rd August 2012. • Muktodhara Bengali movie Story Review: - Story of a Jail, Jailed victims & their return to normal life - Yes, Bengali movie Muktadhara story is absolutely based on the lives of Correctional Home [Jail] inmates. Let me tell you, the movie Muktadhara story inspired by the real life convict Nigel Akkara, who is also doing the lead role of the Victim. At first, let know the character names of Muktadhara Bengali film - actress Rituparna Sengupa playing Niharika [dignified dancer & social activist and Wife of Arindam], Real life convict turned Dancer-Actor Nigel Akkara played Yousuf Mohammad [Presidency Jail convict], Honorable Educational Minister of W.B. & Actor Bratya Basu played Arindam Chatterjee [Lawyer & Husband of Niharika], Theatre actor Debshankar Halder played IG Bru Narayan Dutta, Actor Kharaj Mukherjee played Lakhan Panda [Police Officer], Kolkata Deaf & Dumb School Student Suchitra Chakraborty played Spriha [Daughter of Niharika (Rituparna) & Arindam (Bratya)]. Actor Nigel Akkara performed one of those prisoners who finally corrected himself & back to normal life in the film Muktadhara. Actress Rituparna Sengupta believes that prisoners can be rectified through Culture Therapy, Love & Affection; but her lawyer husband Arindam thinks criminals could never been rectified. The Bengali movie Muktadhara shows how much the Artistic Talents were hidden is the Prisoners (Convicts) and how to explore those talents by proper love, affection & caring and how convicts can return to the normal course of life. It's a must watch movie for all and please don't forget 'Jail' means 'Correctional Home', where convicts should be corrected through culture therapy. • Shooting Location Spot of Muktodhara Bengali Cinema: - Since, the film Muktadhara is about the Prisoner's life thus most of the Shooting of Bengali film Muktadhara has been done inside the Prisons of Kolkata named 'Presidency Jail' and 'Alipore Jail'. • Cinema Halls showing Muktodhara Bengali movie: - Let’s check out few Cinema Hall Names showing Bengali film Muktodhara on & from 3rd August 2012 [releasing date] – Cinema Halls in Kolkata Showing Muktodhara Bengali Movie – Priya, Star Theatre, Nandan (Rabindrasadan), Jaya (Lake Town), Metro (Esplanade), Prachi (Sealdah – Noon Show), Ajanta, Ashoka, Inox (City Centre, Swabhumi, Rajarhat), Bioscope (Axis Mall), Fame (Hiland Park, South City), Broadway (Salt Lake), Cinemax (Mani Square), Jaya (Barasat) & others. Cinema Halls Showing Muktodhara Bangla film in West Bengal – Inox (Liluah, Burdwan, Durgapur), PVR (Howrah), Inox (Tirupati Plaza, Ambuja), Basusri, Malancha, Jayanti (Barrackpore), Baruipur Show House, Burdwan Sanhati Mancha, Gitanjali & many other cinema halls. New Bengali movie / Tollywood film Muktodhara of Rituparna, Nigel Akkara, Bratya Basu seems to be worth watching in Cinema Hall; so start buy tickets online of Muktodhara from www.bookmyshow.com website. Higher Education Minister of West Bengal Shri Bratya Basu’s upcoming Bengali cinema Icche (The Desire) is all set to release on 15th July 2011. A story of Mother and her son of Icche film has been directed by Bengali filmmaker Nandita Roy and Shibprasad Mukherjee under the banner of Vignence Films. • Icche Bengali cinema Director name are Nandita Roy and Shibaprasad Mukherjee. • Icche Bangla Movie Producer name are Rakesh Singh, Sachet Saraf and Rituparna Sengupta. • Co-producers of Bengali film Icche is Encash Entertainment Private Limited. • Tollywood film Icche Story writer is Suchitra Bhattacharjee. • Bengali movie Icche Music director is Surajit Chatterjee. • Name of the actors and actresses (castings) of Icche Bengali movie are Sohini Sengupta, Bratya Basu, Samadarshi Dutta, Bidita Bag, Ruplekha Mitra and others. • Release date of Icche Bengali Cinema is 15th July 2011. • Priya, Star and many other Cinema Halls will be showing the Bengali film Icche from 15th July 2011 (release date). • Story review of Bratya Basu’s new film Icche: - Icche (Desire) revolves around the tangible relationship between an obsessive mother and her son. Manas Chatterjee lived in his ancestral home along with his wife, Mamata, and his only son, Soumik. Mamata was an ambitious mother and harbored many dreams for her only son Soumik. She was disappointed in her husband Manas. 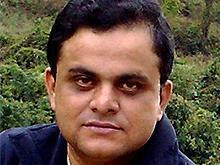 For further details of upcoming Bengali film of Bratya Basu Icche please visit www.icche.in website. Search Tags: Bratya Basu Bengali films, New upcoming Bangla cinema of Bratya Basu, Icche Bengali film story review downloads, First look Release date promo video of Icche Bengali Movie of Bratya Basu, Cinema halls showing Bengali film Icche in Kolkata and Bengal.